Often summed up with reference to “the Sixties,” the social movements of postwar America usually began much earlier, and many persist today. By taking a more local look at national movements like feminism, civil rights, and the battle over public lands, viewers can see how these movements varied in different contexts. Women who participated in Mormons for ERA expressed their feminism differently from other groups. There were few marches or sit-ins for civil rights in Utah, but African-American men fought for formal priesthood status within the Mormon Church. The Beat Movement took shape not only in San Francisco and New York, but also in Utah and Idaho. By de-centering the national story, and the decade of the 1960s, this exhibit suggests a richer, more complex view of American postwar life. 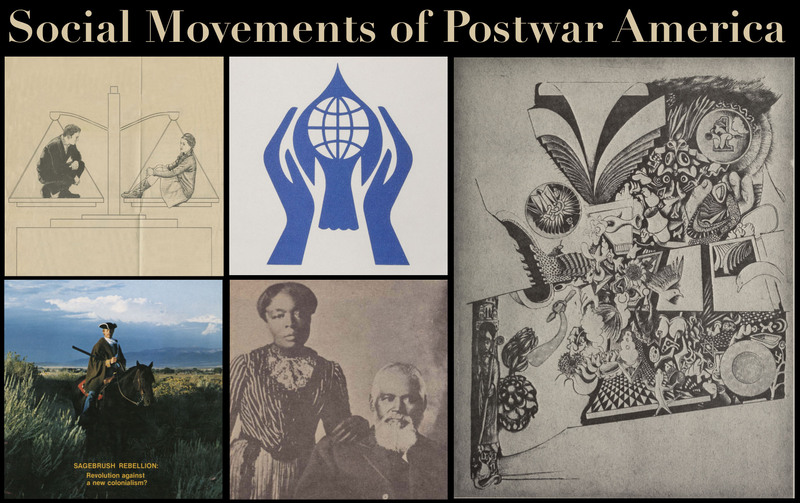 This exhibit uses primary source materials from Utah State University's Special Collections and Archives to explore the complex “social movements” in postwar America.